Because of its sedating effect, it should not be taken before operating machinery or by anyone who must remain alert. The herb may also affect the actions of tranquilizers and sedatives. Because of its possible effects on the uterus and the body’s hormone balance, it should not be taken while pregnant or breastfeeding. Indigenous to southern Europe, the Mediterranean region, western Asia, and North Africa, lemon balm now grows worldwide. It is a perennial, growing to about five feet with tiny white flowers and deeply veined, toothed leaves that have a distinctive lemony scent. The aerial parts are harvested from early summer onward, but are best just before the flowers open when the concentration of volatile oil is at its highest. 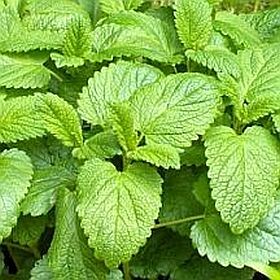 In order to grow lemon balm in a garden, it must be controlled as it can be an invasive plant, but one well worth having. Balm and bees have been linked since ancient times. Therefore, it was only natural that the botanical name for this herb would be Melissa, the Greek word for “honey bee.” In addition, lemon balm has the same healing and tonic properties as honey and royal jelly; and, when the plants are introduced near hives, they help attract new members to the colony. Lemon Balm has been used medicinally for over 2,000 years to treat such conditions as digestive upsets, sleep problems, depression, skin sores, repelling mosquitoes and ease the itching of insect bites, and ease muscle spasms and menstrual cramps. The Roman scholar Pliny and the Greek physician Dioscorides recommended it as did Nicholas Culpeper, the famous English herbalist in his 1653 Complete Herbal. Charlemagne ordered that it be planted in every monastery garden. A favorite herb of medieval times, it was known as an “elixir of youth.” The alchemist Paracelsus made a preparation called primum ens melissae that was used well into the 18th century as a preparation to renew youth. The Shakers of North America were fond of lemon balm, using it for female reproductive health, including menstrual and birth difficulties and conception. They grew and sold it in great quantities in the mid-1800s. Colonists brought it to the New World, and Thomas Jefferson grew it at Monticello. It has has long been believed that if lemon balm were taken regularly, it would increase longevity. New research has proven the polyphenols in lemon balm to be antiviral and effective against the herpes simplex virus, Newcastle disease, mumps, and vaccinia. Research has also shown that the volatile oil, particularly citral and citronellal, calm the central nervous system; but the oil is also strongly antispasmodic and, therefore, useful in treating emotional distresses. Citronellal is a pleasant smelling oil that has become a popular mosquito repellent. Rosmarinic acid has proven to reduce smooth muscle spasms and may be responsible for easing intestinal and menstrual cramps. Infusions of fresh leaves are used for depression, nervous exhaustion, indigestion, nausea, and the early stages of colds or flu. Tinctures are best when made with fresh leaves. They are used for the same conditions as infusions, but small doses are usually more effective. Compresses are soaked in infusions to relieve such painful swellings as gout. Ointments are used on sores, insect bites, or to repel insects. Essential oil can also be used on shingles (5 drops to 1 tsp. olive oil and gently massage into area). Note that the commercial lemon balm essential oil is difficult to find, and most are adulterated with lemon or lemongrass oils. Infused oil is used warm to hot as a gentle massage oil for depression, tension, asthma, and bronchitis. Juice can be applied to cuts and scrapes. Lotions made from an infusion can be applied to cold sores. There is some evidence that the herb inhibits the production of thyroid hormones and is the traditional treatment for hyperthyroidism or Graves’ Disease. It is also used to relax the heart and relieve palpitations, heal wounds, and stop the pain of toothaches and shingles. Lemon balm makes a good first-aid remedy for cuts and insect stings, as well as for fevers. Applications of lemon balm cream to a cold sore or other herpes sores when the warning tingling is first felt, appears to reduce the size and hasten the healing. It is sometimes combined with other herbs to treat digestive upsets or taken with valerian to relieve insomnia and tension. In Venezuela, the plant is used to aid digestion and to help overweight people shed a few pounds. It is also applied to any skin problems, including wounds, sores, and skin ulcers. South Americans use it to treat a variety of nervous complaints and symptoms of stress. For more information the healing benefits of Lemon Balm click here. If you saw Dr. Oz’s segment that originally aired on January 26, 2012 about lemon balm and how it’s excellent at healing cold sores, you have the right item. 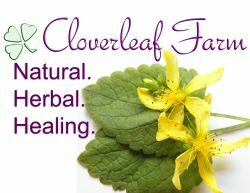 Click here to view lemon balm products. The most popular are the organic ointment and lip salve. Dr. Oz had another segment on using lemon balm internally for relieving stress. For this we recommend a lemon balm leaf tea.